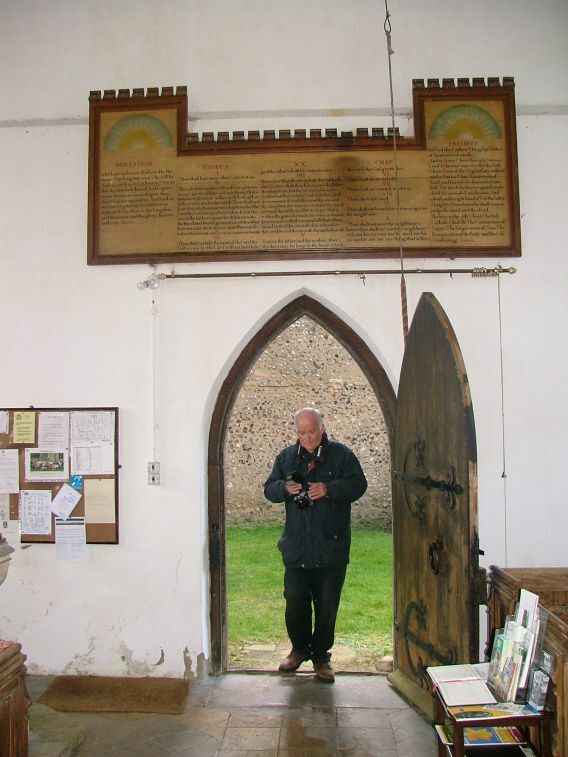 The great writer about East Anglian churches, Sam Mortlock, once observed that there are some churches which stick like a burr in the memory. 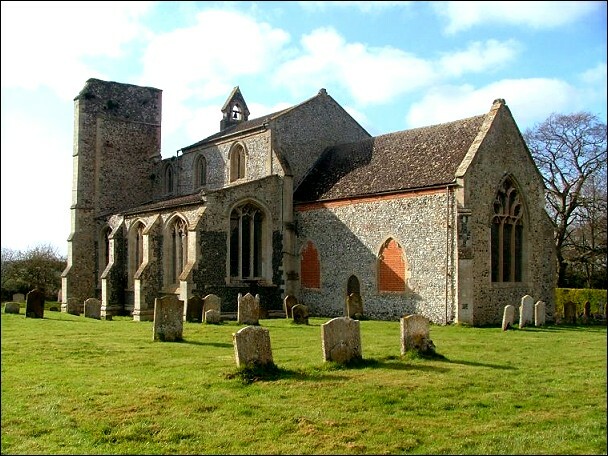 I had recently started revisiting Suffolk churches, some five years after completing my journey around that county. 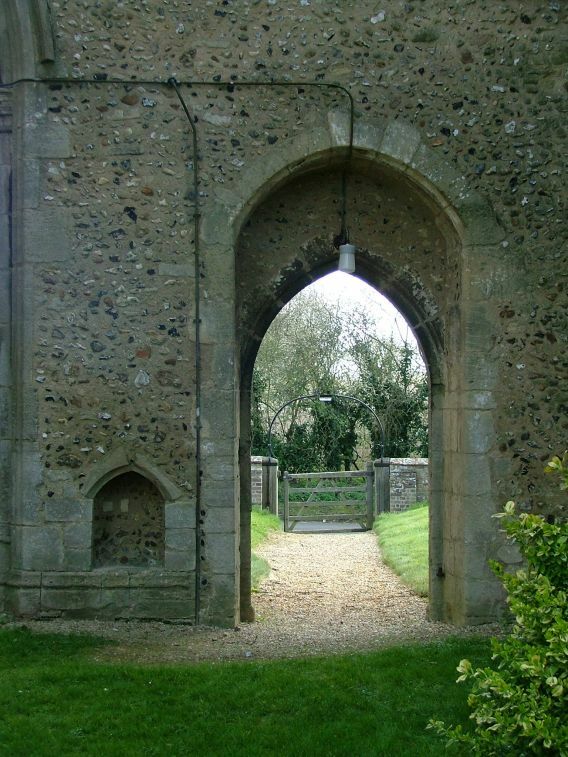 I was shocked to find, when revisiting a couple of places, that I had no recollection of ever having been inside before, even though my old photographs showed that I had. 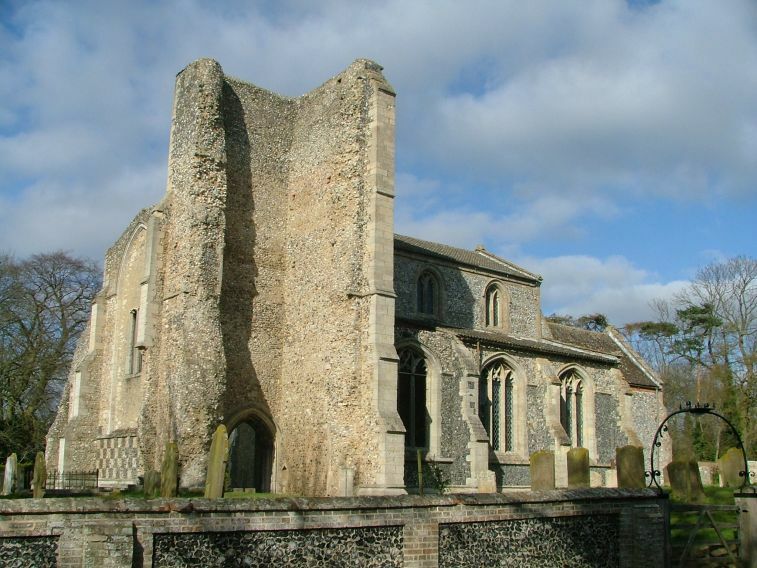 Elsewhere, it was like returning to a familiar friend, and here in Norfolk there were churches I was visiting for the first time which I knew I would never forget. 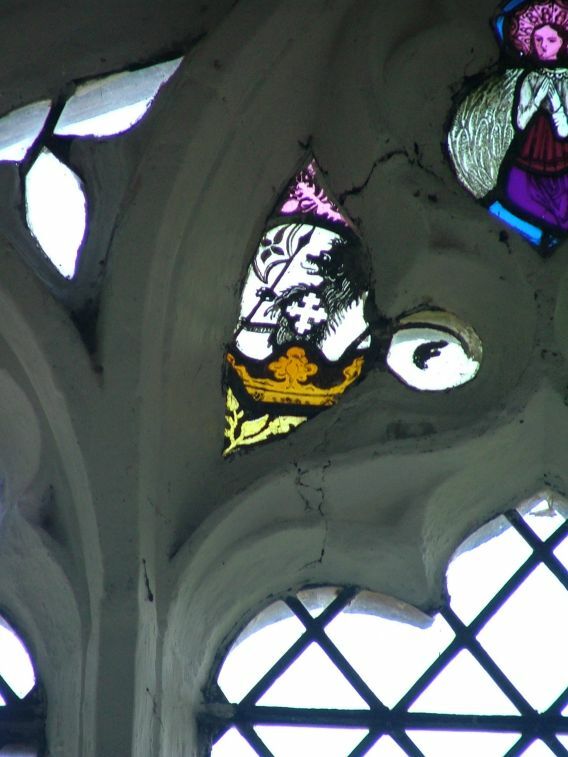 St Andrew at Little Cressingham was one of them. This is not because of any remarkable medieval survivals, or amazing treasures, but simply because it is a special kind of place. 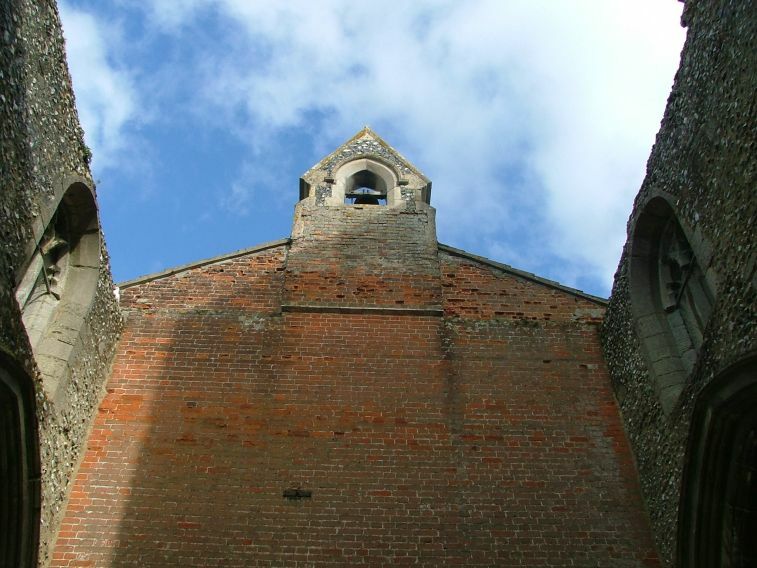 Here in the rolling fields between Watton and Swaffham is a ramshackle yet beautiful building that feels as if it has grown organically from the landscape, and is now beginning to make the return journey. On first approach, the most striking feature is that the south side of the tower has completely collapsed. 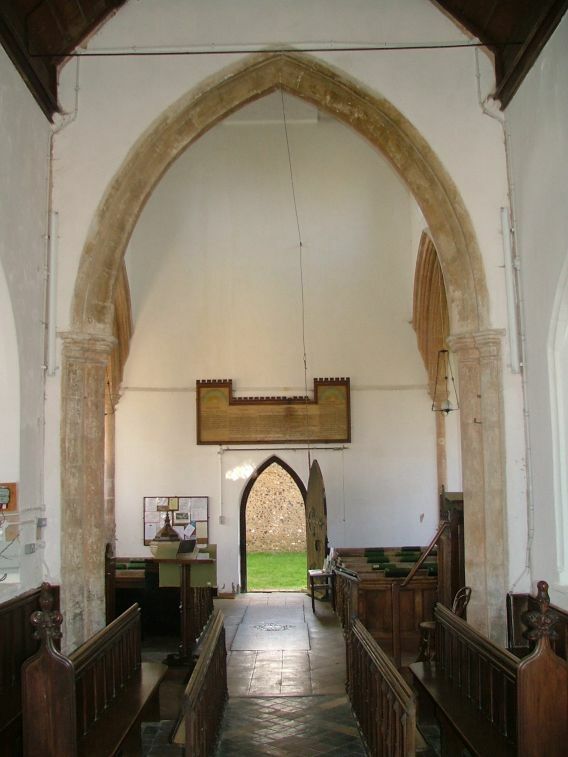 This happened towards the end of the 18th century; the tower stood at the west end of the aisle of what was by then a substantially rebuilt Perpendicular church with an older chancel. 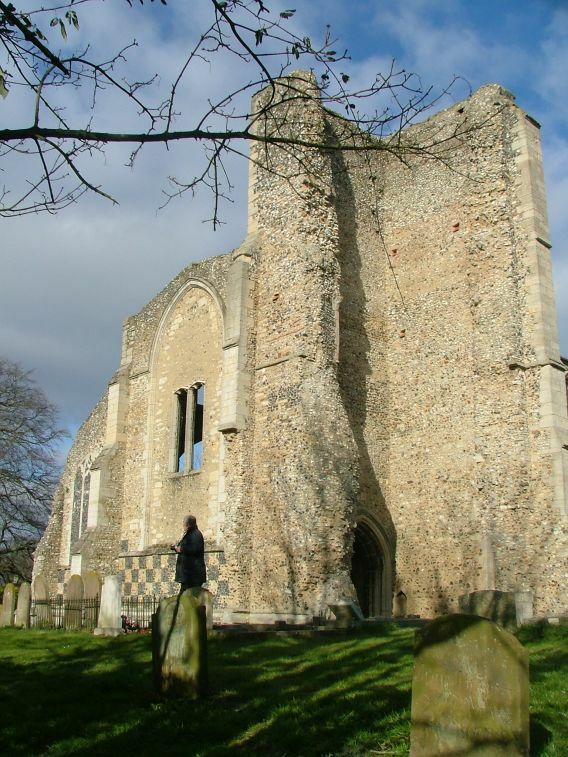 Although the tower must have collapsed outwards, the western half of the nave had also become ruinous, probably as a result of the general neglect of medieval church buildings in the 17th and 18th centuries. In the 1780s came a big patching up. 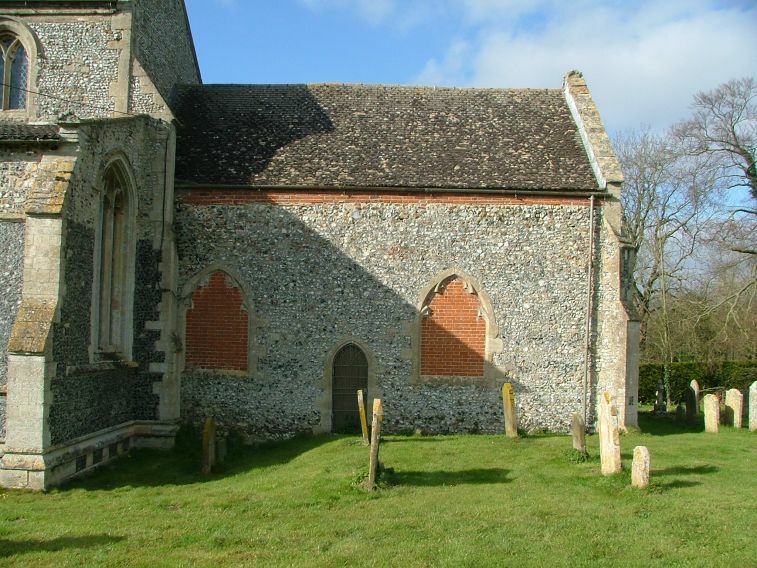 A new west wall was built across the nave, reducing the size of the church to two bays and the chancel. 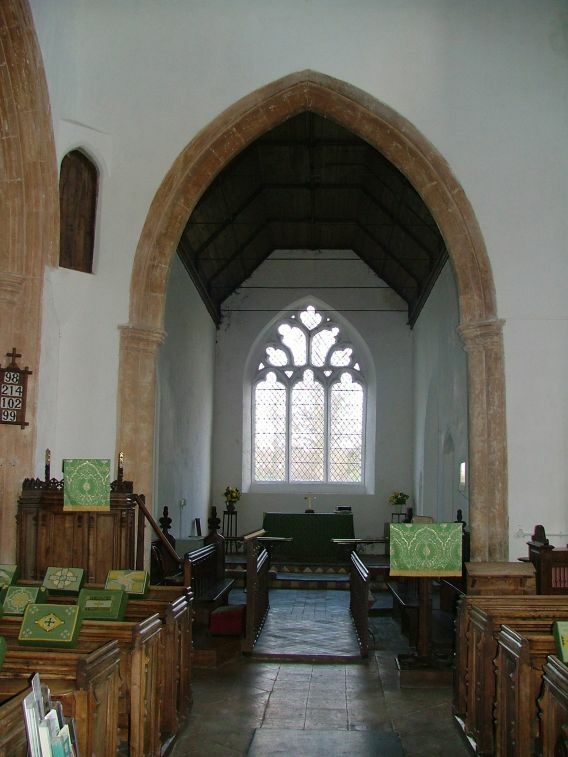 The new wall is rather more homely than the old one to the west; the massive outline of the west window shows that this must have been a very grand church indeed. 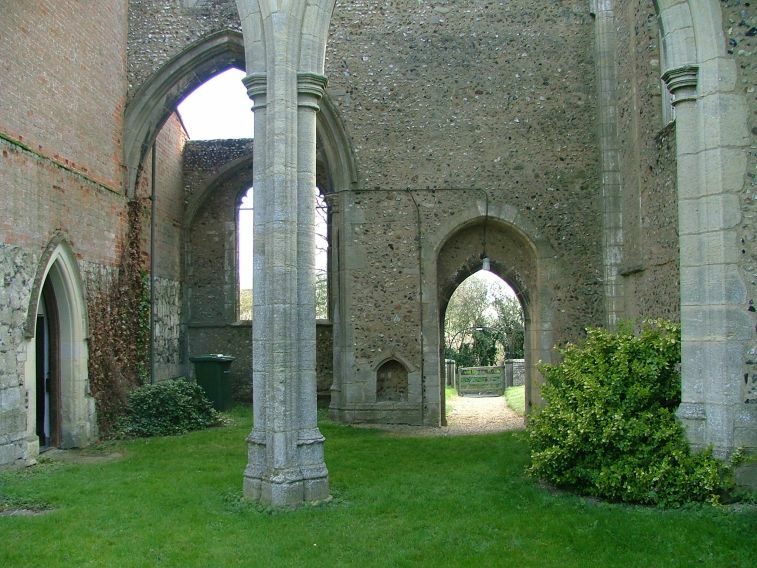 You enter through the the old tower arch on the northern face of the tower, to find yourself still outside, but on the lawn which used to be the western half of the nave. This is absolutely lovely, the old arcade rising like trees to form a collonade. 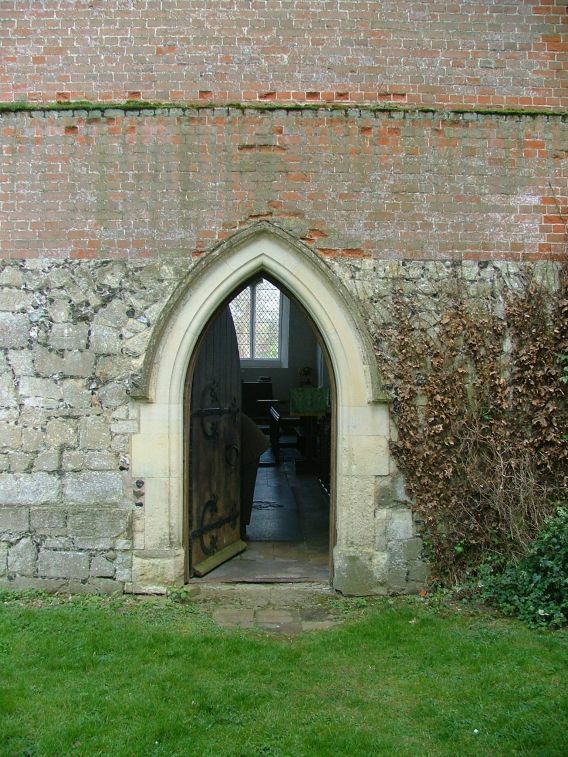 Then you enter the church properly through the little doorway in the new west wall. 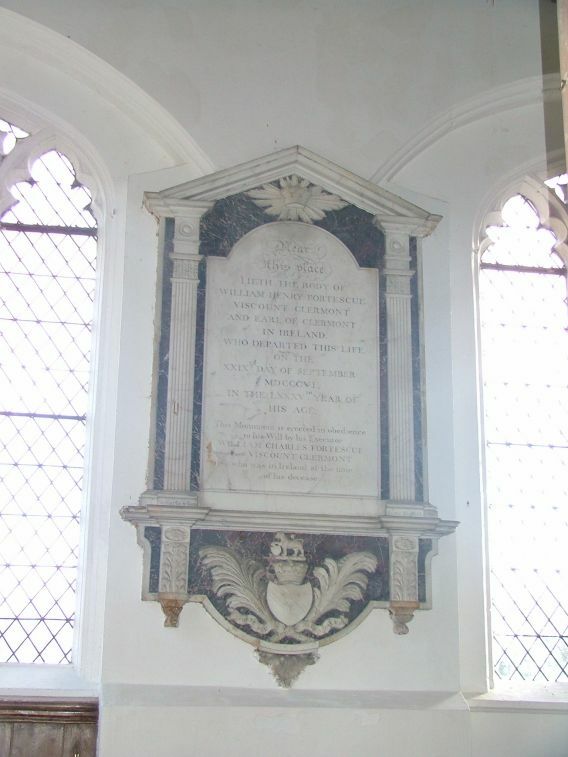 As you would expect, the interior has a substantially the feel of an early 19th century church, with just the right degree of gravitas and an intensely rustic folkiness -for example, the grand monument to Viscount Clermount sits comfortably with the small plaque to Henry James Hoggart of the Norfolk Regiment, Member of this Choir who fell in the Great War. He was just twenty. At the bottom, the heartbreaking coda This Tablet is Erected by his Mother. 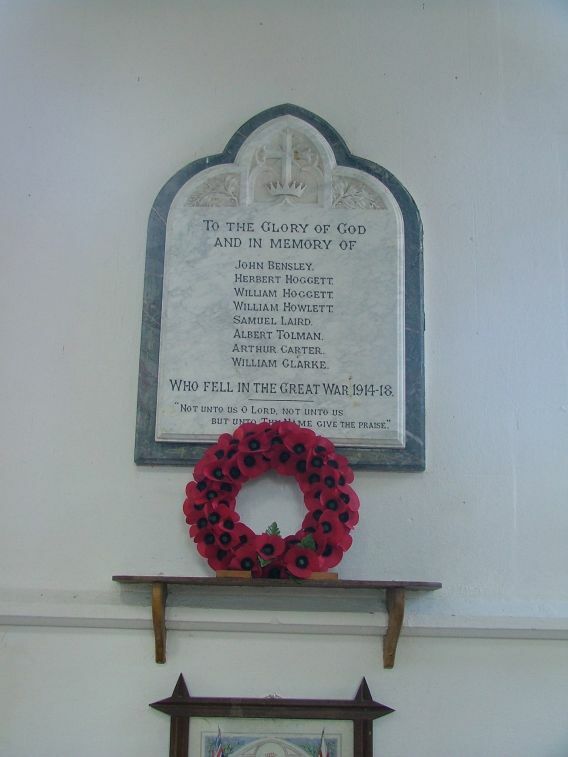 This tiny parish lost no less than eight of its sons to the slaughter. 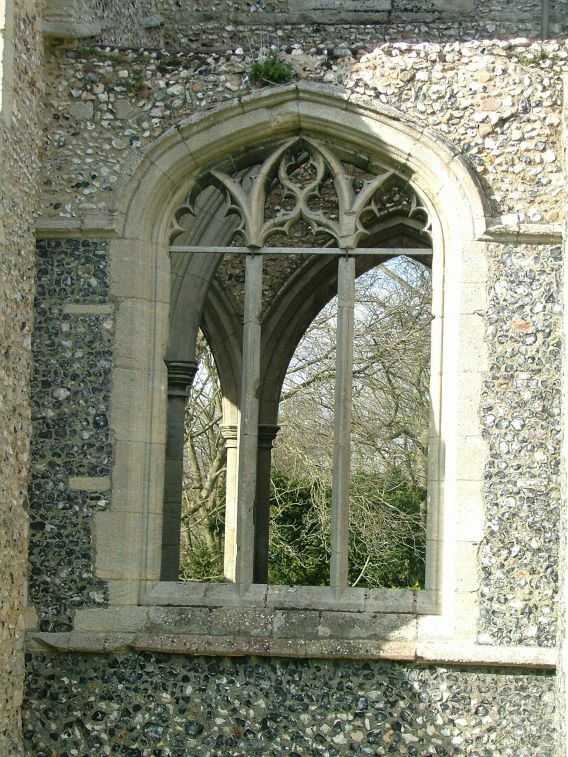 Above the doorway is the decalogue board that formerly sat beneath the east window; the tracery of this window has at some point been reorganised, curiously but attractively. 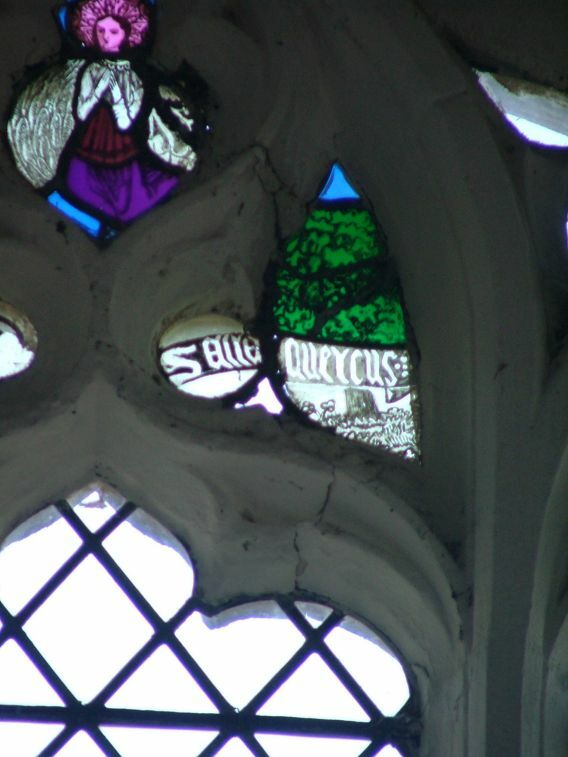 There are some fragments of what looks like old glass in the east window of the south aisle, forming a surround for a 19th century image of St Andrew. 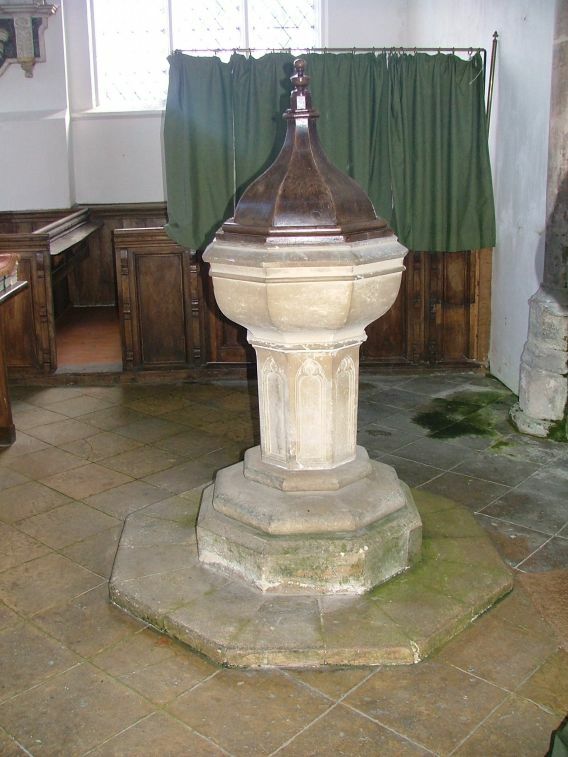 The font is a good example of the simple Classical style that predominated in the decades before the Ecclesiological Movement of the 19th Century. 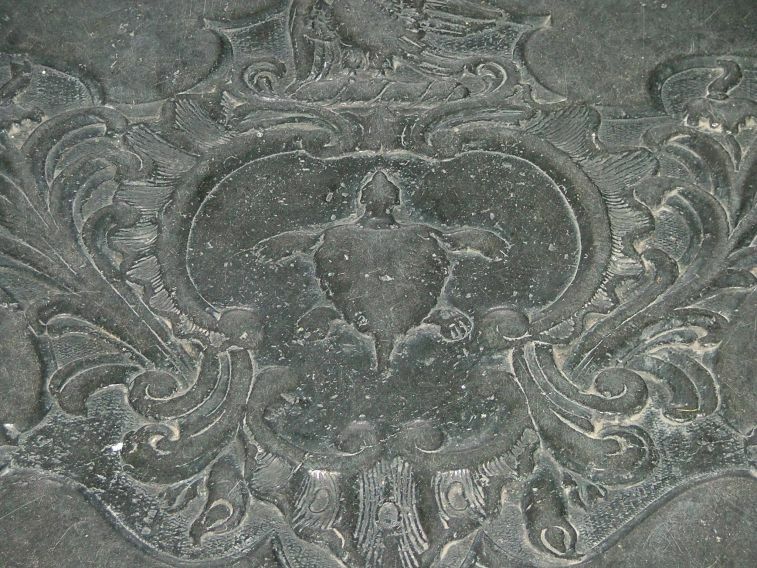 A roughly contemporary ledger stone bears the symbol of a turtle. On a chancel window sill stands a brass container for flowers, dedicated to Mabel Ward, who died in 1982, Faithful to St Andrews. Somehow, that sums up the spirit of this special place.